Long before the Internet was a glimmer in Al Gore’s eye, a different series of tubes helped shuttle messages from one place to another, seemingly by magic. 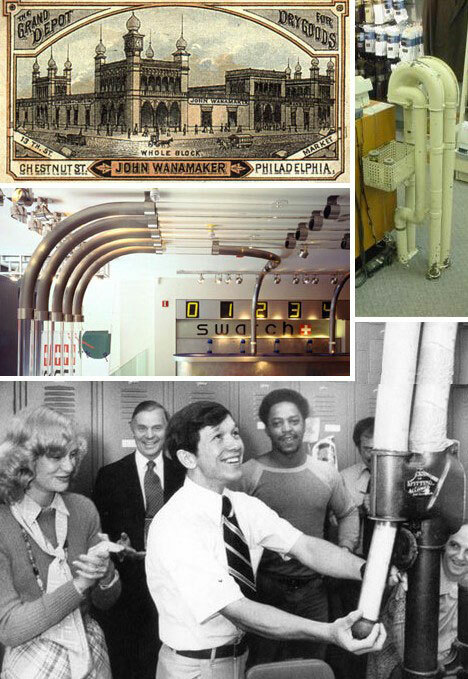 These pneumatic tube systems, many of which are still operating, are a marvel of not-so-modern technology and although they blow, they most definitely do not blow. 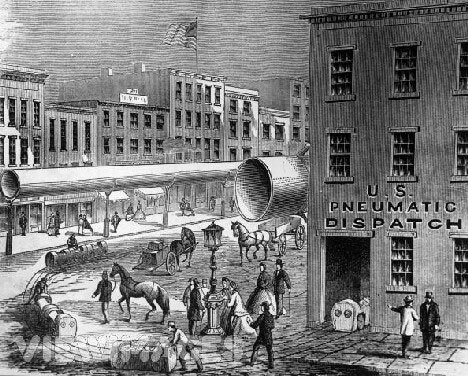 The history of the pneumatic tube can be traced back to the 19th century but its beginnings were anything but small or primitive. 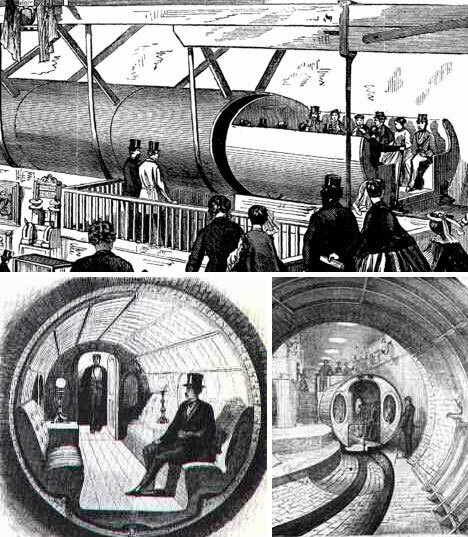 Inventor Alfred beach received a patent for his pneumatic subway train concept in 1865, and by 1870 an actual working subway was in operation beneath the streets of New York! Formally known as the Beach Pneumatic Transit, the subway featured a single car that ran for a single block: 312 feet from Warren Street to Murray Street in an 8-foot wide tunnel under Broadway. Beach’s idea was ahead of its time and the subway closed in 1873. It would be thirty years before another, non-pneumatic subway would run beneath the streets of New York. Above is an 1868 illustration of what Beach had in mind: an elevated pneumatic train system combined with a pneumatic mail dispatch system featuring surprisingly large wheeled canisters. The “U.S. Pneumatic Dispatch” sounds like something out of Sky Captain and the World of Tomorrow! It wasn’t long before inventors and entrepreneurs created more practical applications for the pneumatic tube concept. One of the earliest was the Cash Carrier, a system designed for in-store use that moved cash & coins through large department stores. Patented by D. Brown on July 13, 1875, pneumatic cash carriers installed before the turn of the century were still running well decades later. 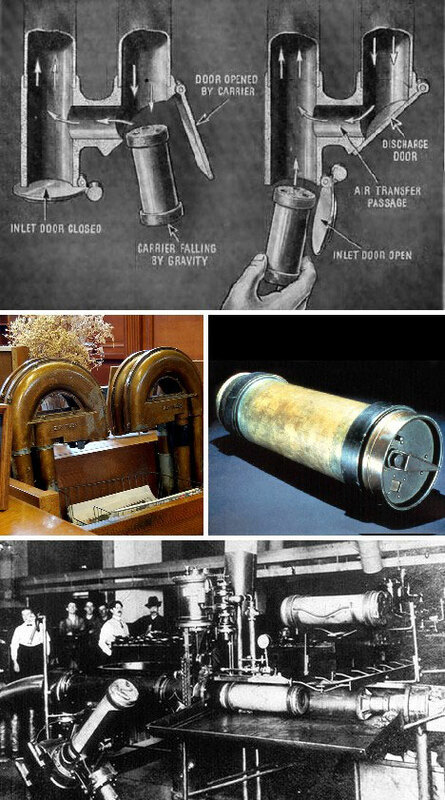 From 1897 to 1953, the New York City Post office used a wide-ranging pneumatic tube system operated by the Tubular Dispatch Company to move mail across the city. By 1914 fully 30 percent of the city’s first class mail was being shuttled across town through the tube system, which included one very long stretch that ran the length of the Brooklyn Bridge. The creation, construction and operation of pneumatic networks took time and money… especially money. Companies who sought to fund the expansive systems of the era issued stock to lessen the financial load on themselves. 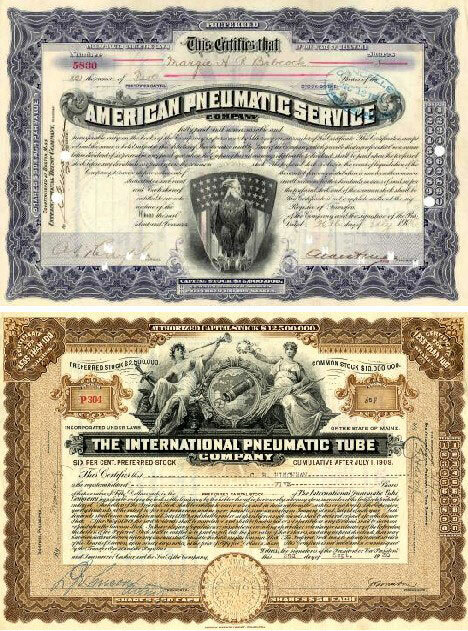 Several pneumatic tube company stock certificates from 1906 (above top) and 1920 (above, bottom) depict the great expectations companies had for these revolutionary, futuristic pneumatic networks. One wonders how investors in these companies made out. 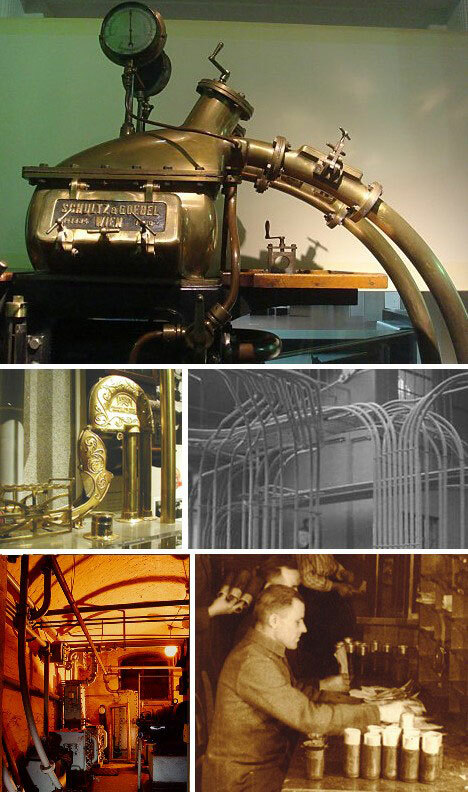 Pneumatic tube networks were the toast of the Brass Age and could be found in London, Paris, Berlin and Vienna. The Berlin pneumatic dispatch system operated from 1865 to 1976, encompassing over 400 kilometers (250 miles) of tubes and surviving (mostly) 2 major wars. 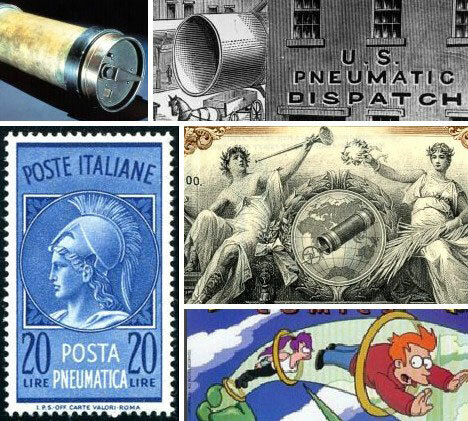 Pneumatic mail… the term has an almost Steampunk vibe to it but it actually existed – the stamps above prove it. 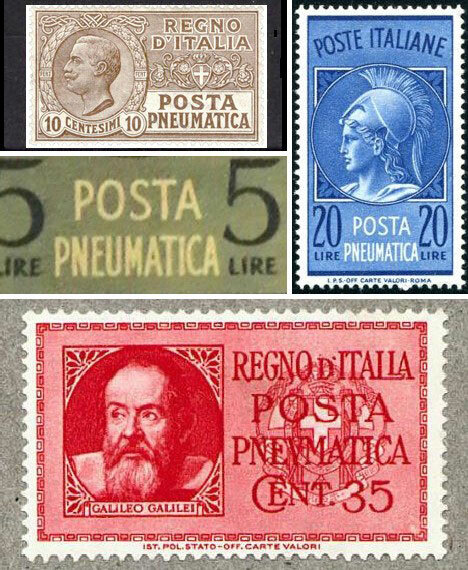 While most countries running pneumatic networks allowed users to pay with regular postage stamps, Italy issued a variety of dedicated Posta Pneumatica stamps, some of which are shown above. The most recent stamps were issued in 1966 with an expiry date of February 12, 1992. 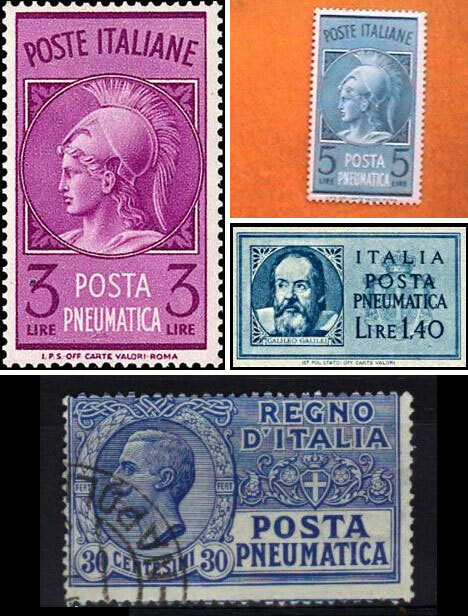 Here are some more of these beautiful Italian stamps, though one wishes the engravers would have used the mechanics of Italy’s pneumatic mail network for their subject matter. 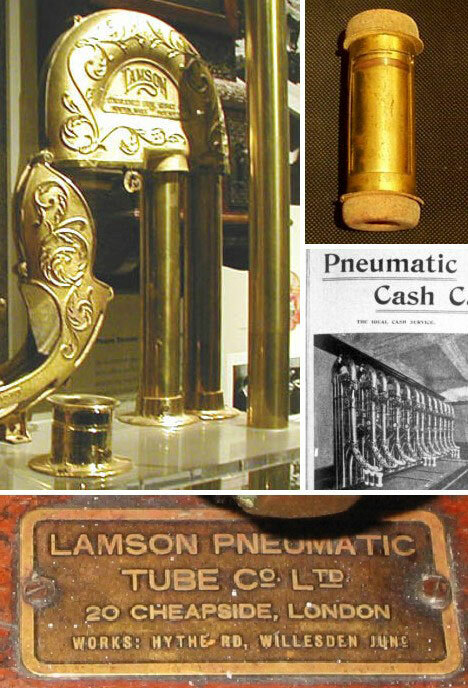 An American, William Stickney Lamson, was the leading light of the pneumatic tube mania that swept the developing world in the late 19th century. Lamson’s tube networks snaked through most every major city in Europe and North America. What’s most remarkable is that Lamson remained synonymous with pneumatic tube networks for so long, and that his systems had to meet different requirements in almost every application. One of the most successful applications of pneumatic tube networks was in large department stores where they were indispensable for quickly moving cash, messages and even small items of merchandise to precise locations. The first intraweb, one might say. 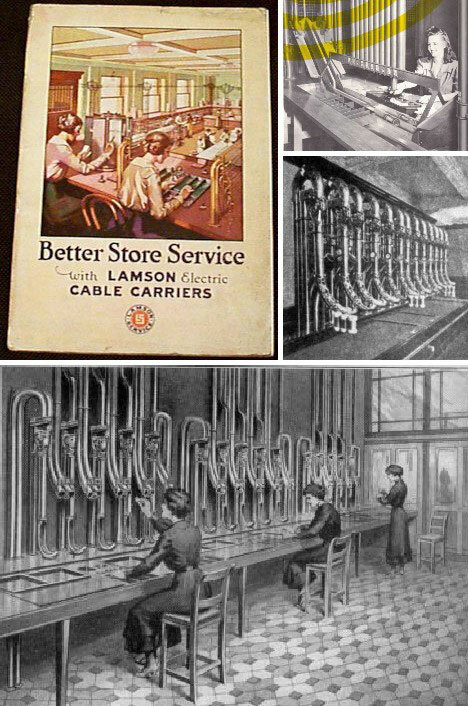 The pioneer in deploying an in-store pneumatic tube system was Wanamaker’s, a Philadelphia retailing legend, way back in 1880 – a year after they installed electric lighting. The Roasting Plant has come up with a novel use for pneumatic tubes. The popular New York coffee roaster & retailer employs the Roasting Plant Javabot™ to perfectly prepare one of a number of specialty coffee beans to perfection. 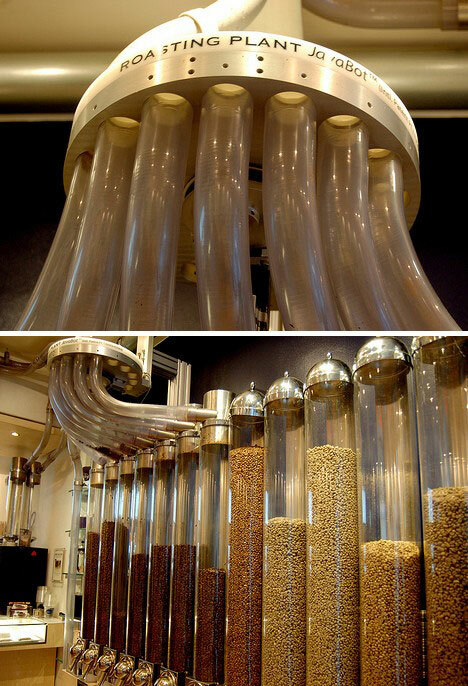 The device then dispenses beans or ground coffee to customers through a series of pneumatic tubes. Owner Mike Caswell experimented with a prototype Javabot system in his home basement using vacuum cleaner parts – he’s come a long way since then. When moving small packages quickly from one place to another within a self-contained area, pneumatic tube systems can’t be beat. Indeed, modern tube networks are installed in new hospitals, older systems are added to and original systems just keep on ticking along, as they have very few moving parts to wear out. Hospitals are ideal locations for tube systems; they move medical samples from one area to another quickly – and in hospitals, speed can save lives. Here’s a short video of a modern pneumatic tube network used for promotional purposes. It looks like some old Victorian’s idea of a utopian transportation network… which was actually the idea in the first place! 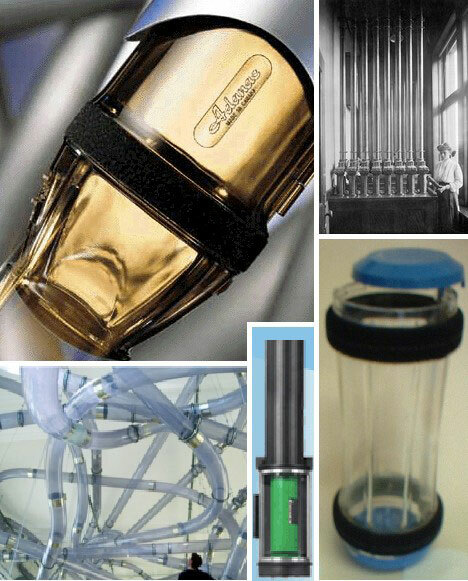 What does the future hold for pneumatic tubes? As long as there’s air, they’ll work – even in airless space if they’re aboard a space station (or Death Star). If you think about it, very few of the great inventions from the early industrial age have evolved so little over the years. It’s a tribute to sound engineering and straightforward mechanics. 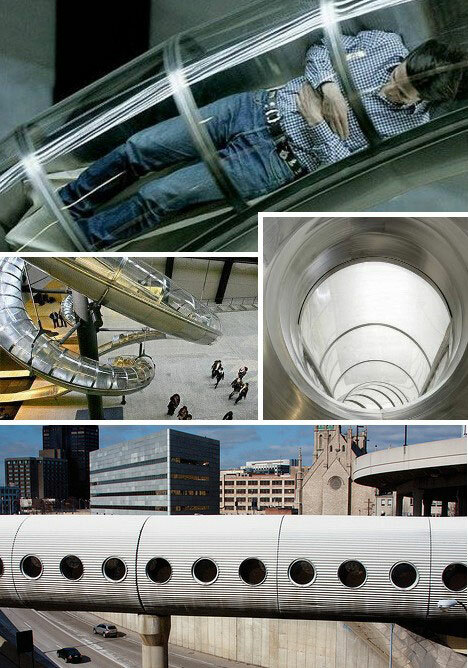 When the future finally arrives, pneumatic tubes will bring us there! 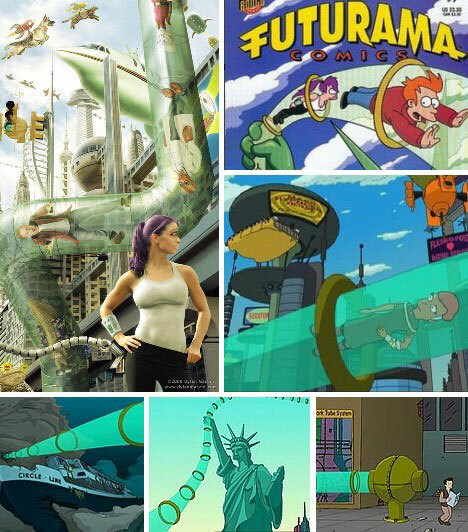 Come to think of it, The World Of Tomorrow will probably look a lot like this! !